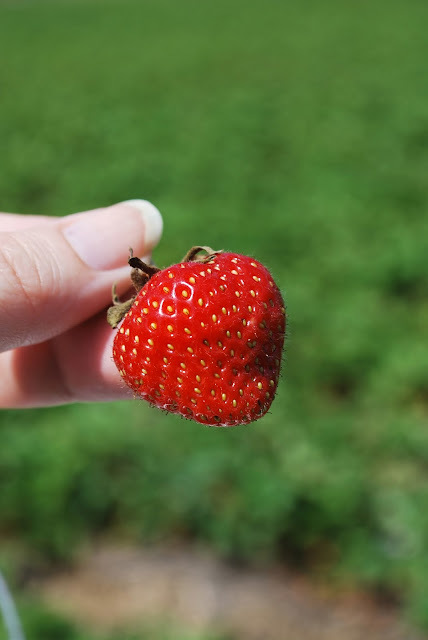 For the past few year's, we've gone out in early June (last year it was late May) to pick strawberries. We always go to Johnson's Farm Produce in Hobart, IN where we hit the field to fill some buckets. And, I admit, I always have to have a little taste of a warm juicy one right off the vine. Oh, boy!!! Anyway, if you haven't done fruit picking with your family, it's definitely a worthwhile outing. Fun times, super ripe fruit and it saves you a bit of money by picking your own.